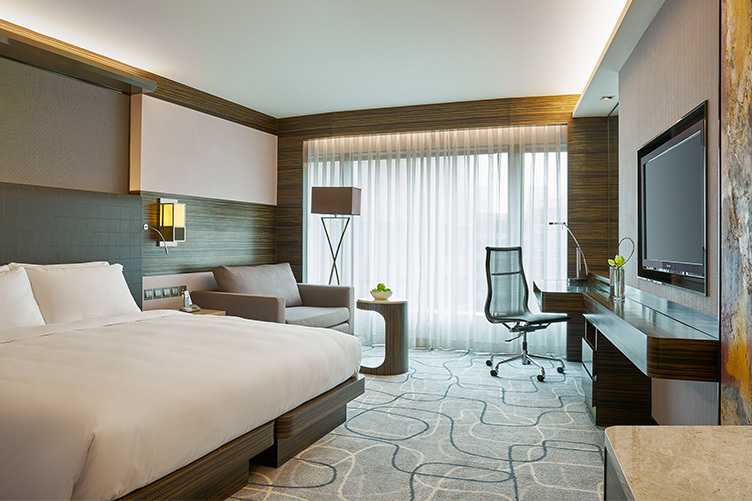 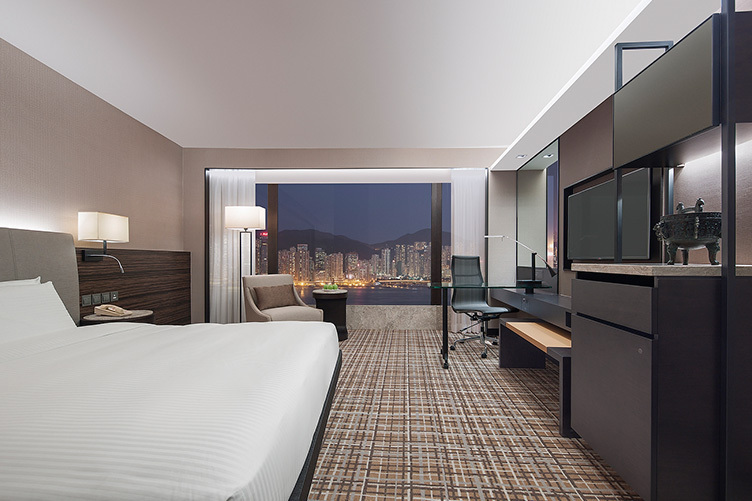 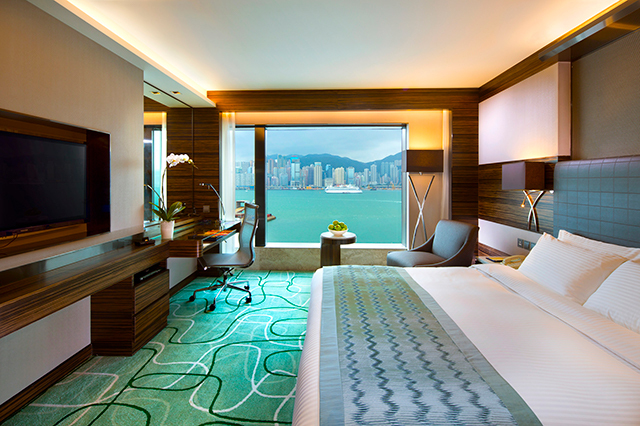 At New World Millennium Hong Kong Hotel in Kowloon, our 5-star suites balance space with cosiness and add luxury and exclusive privileges. 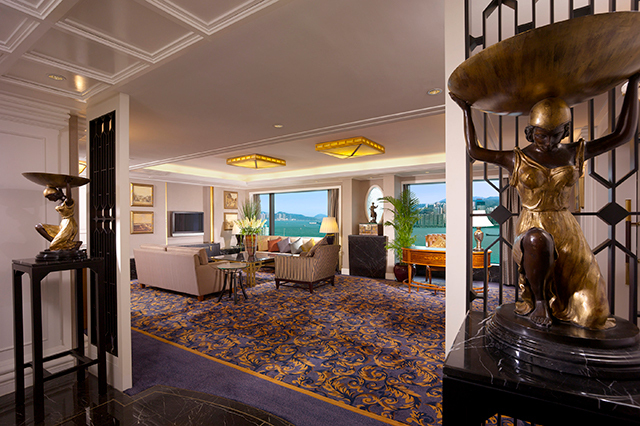 Our suites and the service that accompanies them embody the best of exceptional living. 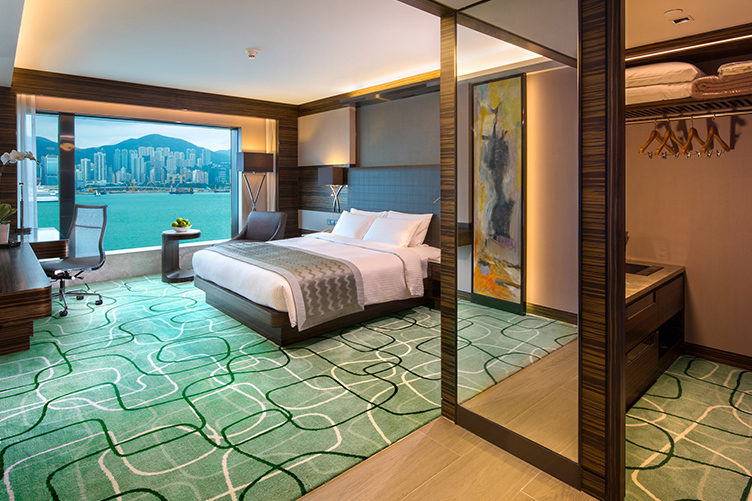 All 19 suites come with incredible views of the world-famous skyline on Hong Kong Island. 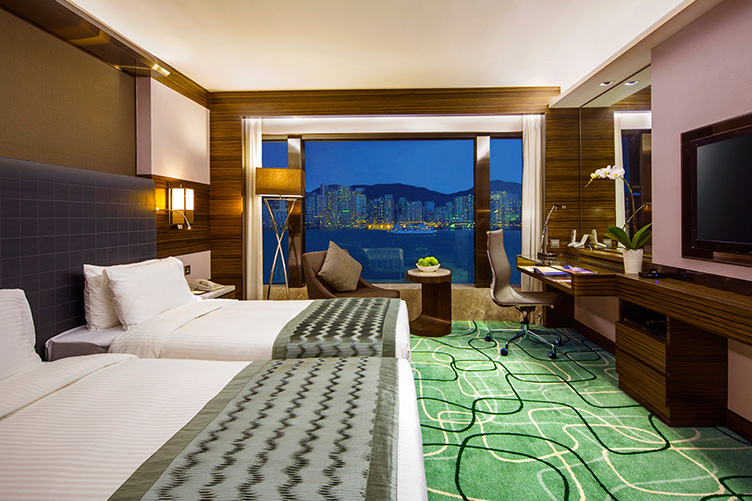 You will enjoy the personalised services and exclusive benefits of the Residence Club. 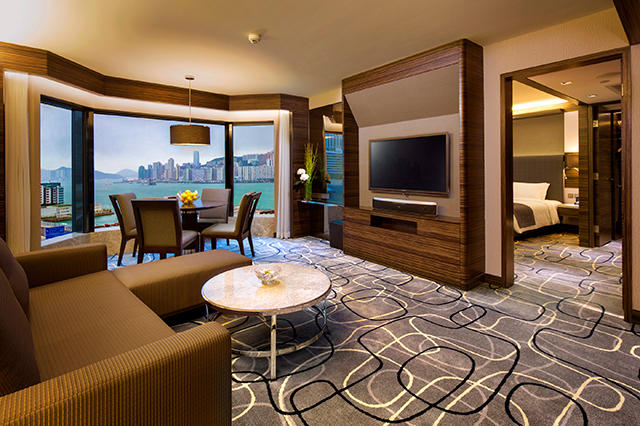 These suites feature a separate living room overlooking Victoria Harbour and the Hong Kong skyline. 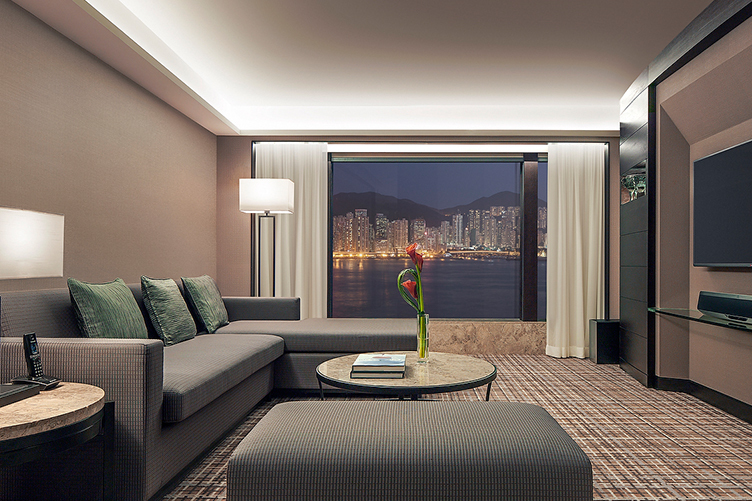 The colours are muted tones of natural colours, and the furnishings are soft and inviting. 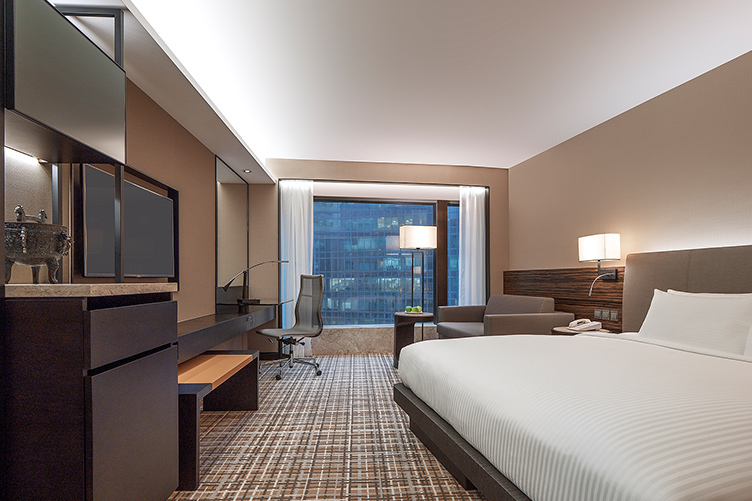 Indulge and enjoy. 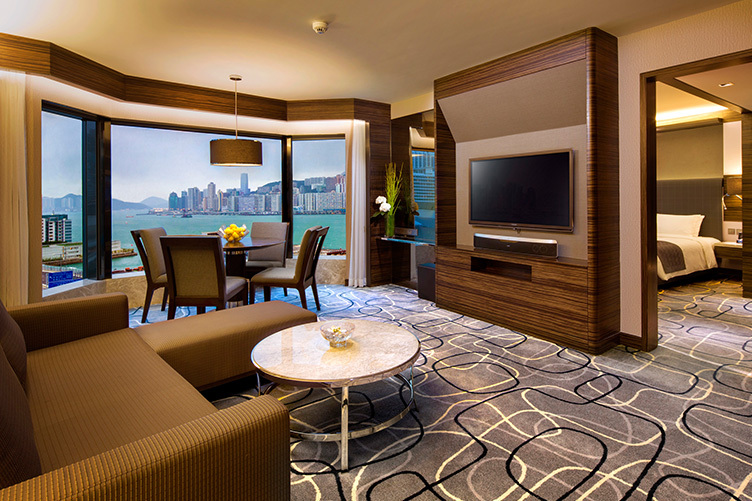 Enjoyable living is enhanced with a comfortable living room, a dining area and a cloakroom. 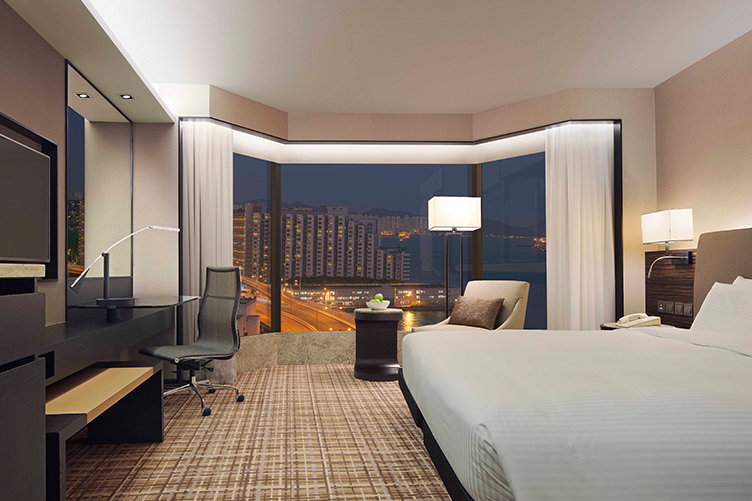 Slip into the Jacuzzi in the marble bathroom, or relax on the sofa in the living room to enjoy the breathtaking harbour view. 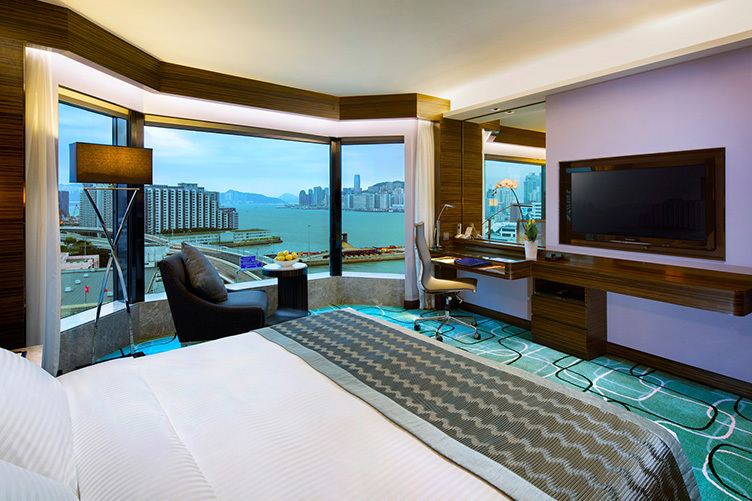 Overlooking Victoria Harbour, this one-of-a-kind luxury suite offers a separate dressing room, a cosy living room, and a dining room. 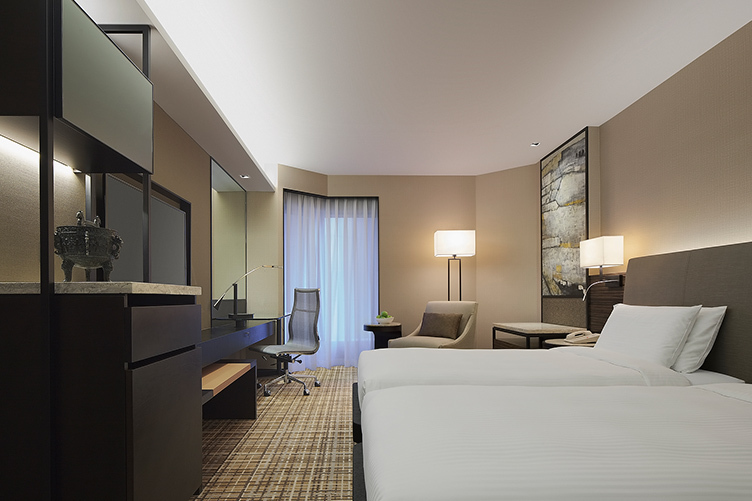 The spacious bathroom features a sauna, a walk-in rain shower, a Jacuzzi and a steam bath.